I was planning on the original pit beef sandwich when I walked into Chaps Pit Beef, but when I saw the daily special of Corned Beef and Beef (and a bottomless soda), how could I resist it? After all, it clearly claims to have more beef than the original sandwich, right? 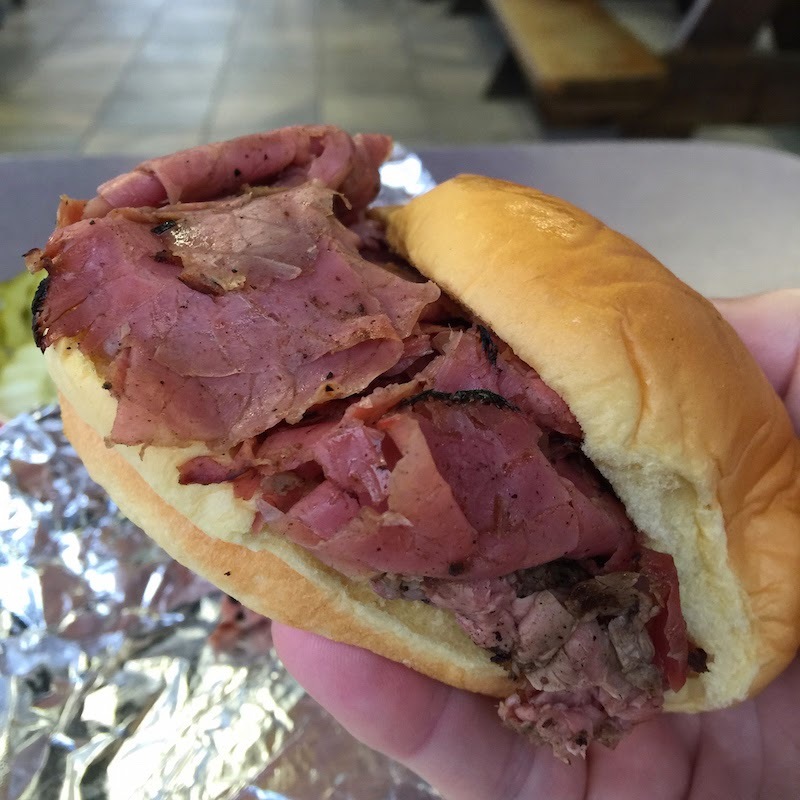 Read my full review of Chaps Pit Beef in Baltimore after the break. 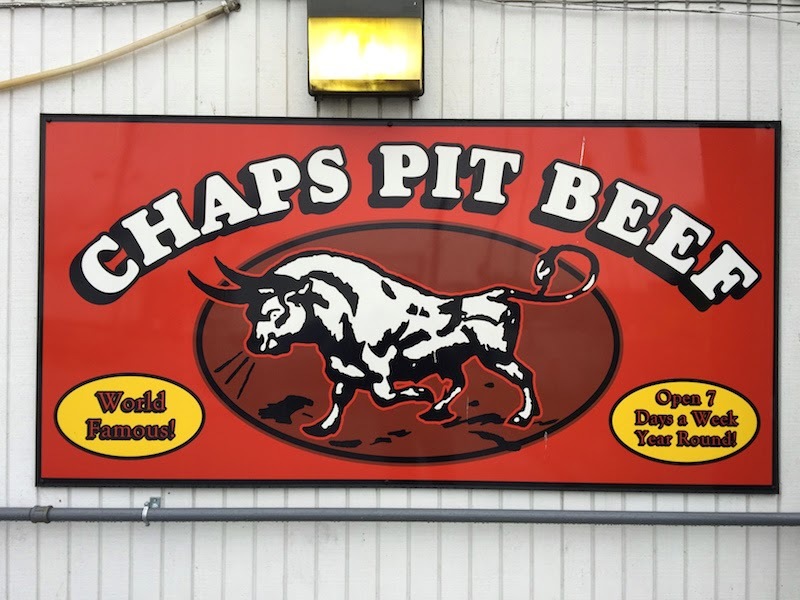 Chaps Pit Beef has been seen on Man vs. Food with Adam Richman, Diners, Drive-Ins and Dives with Guy Fieri, and No Reservations with Anthony Bourdain. Adam had the Raven, which is close to what I had (it adds in turkey on top of the corned beef and pit beef). So what is pit beef, anyway? According to Serious Eats, Maryland pit beef is a top roast that is lightly seasoned, and grilled over charcoal. Usually it is grilled rare, although Chaps will ask you how you like your meat so I assume they are grilling some of the beef medium and well done. 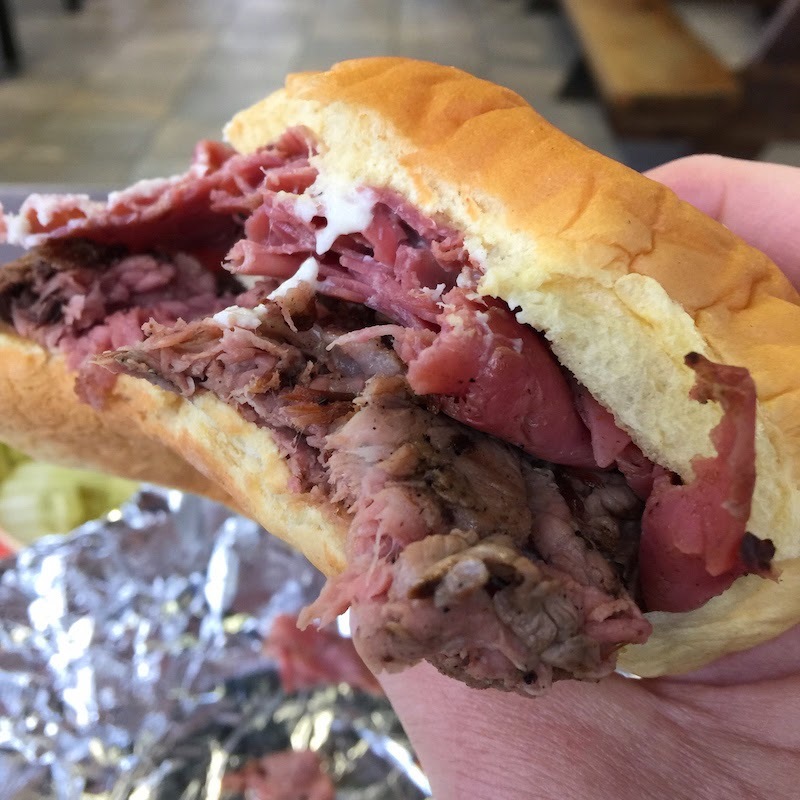 Then the beef is sliced very thin, and piled onto the sandwich so that when you bite into it, the meat is very tender and easy to bite into. And how does it taste? Delicious! And as an indicator, as soon as Chaps opened at 10:30am there were several people waiting in line (myself included). The bun is not cut completely in half -- there's a part that is connected which helps keep it wrapped around the meat. The bun is very soft and holds the beef in place. Walking up to Chaps you can smell the smoke from the charcoal grill, and if you weren't already hungry, you will be starving by the time you order your sandwich. There's a counter where you can grab onions and pickles, and Tiger Sauce. Tiger sauce is a creamy horseradish and it goes really well with the pit beef. It's spicy, but not too hot. 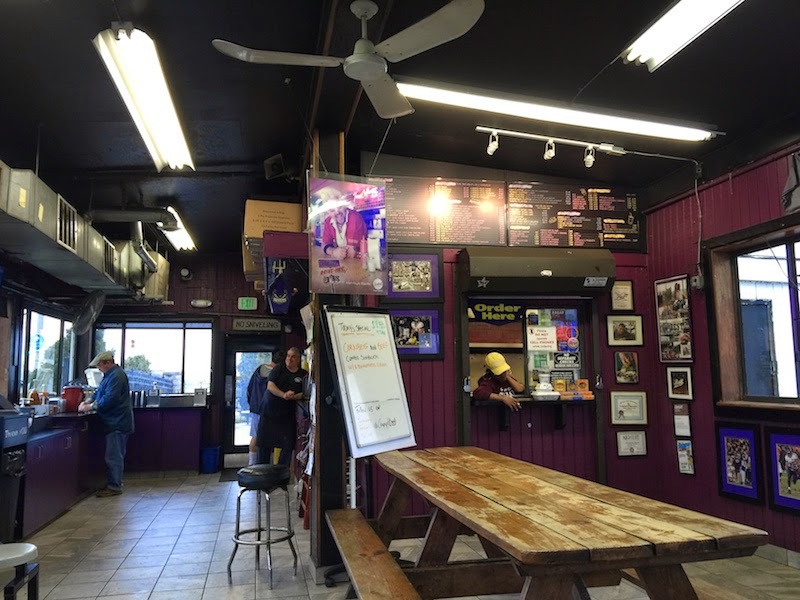 Don't visit Baltimore without making a visit to Chaps Pit Beef.